What you eat is so important for your fertility – it was so important to mine that as soon as I started to make dietary changes I began to see results! 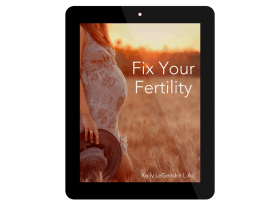 It took some time, but I gradually went from ovulating once or twice a year to every 8 weeks…then every 4 weeks…and finally every four weeks, getting pregnant 8 months after my initial changes. 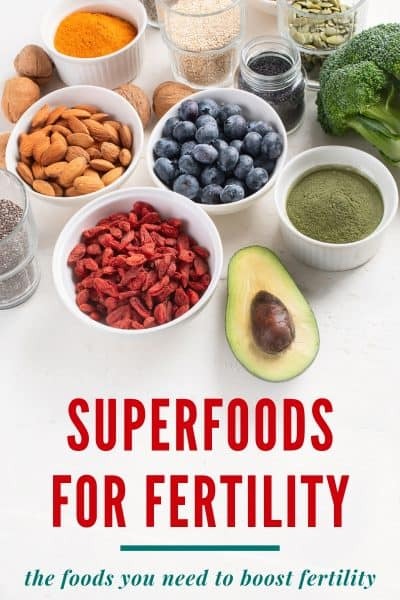 Once I began to include some of these superfoods for fertility, my body finally started to produce the right hormones. All foods have nutrients that our bodies need (excluding processed and junk foods of course), but some foods are higher in specific nutrients that really target the reproductive system. Most of them are also helpful in telling our bodies that we are in the “land of plenty” and it’s a good time to reproduce. A quick internet search will fill your screen with plenty of foods from far off places, from Amazon jungles to high mountain top regions, and while those may be super nutritious I believe that no matter where you live there are also local superfoods. We’ll cover both local and non-local sources for you! Many of us no longer consume the foods that nourish our bodies. I definitely didn’t! I spent much of our grocery budget buying prepackaged foods, I drank pop and mochas and ate multiple desserts every day. Because I worked out daily and was thin, I sure “looked” healthy, but underneath I was a hormonal mess. The standard American diet is now full of white sugars and flours, chemicals and preservatives, much of them robbing our bodies of the vital nutrients we actually do consume. Sticking to whole and unprocessed foods is a pivotal part of a fertility diet, but there’s also more we can do to optimize our fertility. 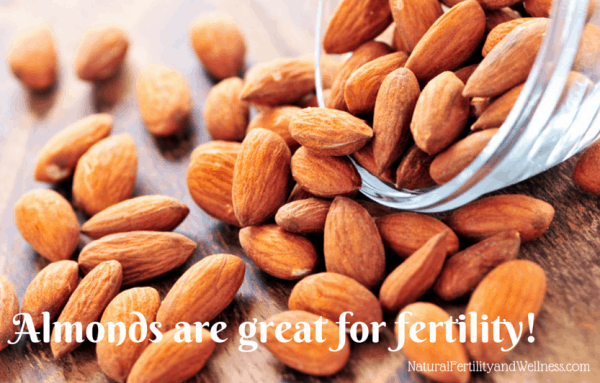 Let’s discuss some local and non-local superfoods for optimizing fertility. The yolk, in particular, is a nutrient powerhouse of fat-soluble vitamins A, D, E and K2 as well as B6, folate, B12, and Omega 3 fats. Make sure to choose eggs from pasture-raised chickens – this part is important if you can find them! These eggs will be higher in nutrients, especially Omega 3 fats. All of these nutrients are important for cell growth, proper insulin production, and thyroid health along with the development of the sperm and egg. They are also rich in a nutrient called choline – this is essential for proper development of the baby. Most of our early ancestors and many indigenous cultures relied heavily on seafood, though not many of us make this a focal point in our diets anymore. FIsh and seafood are high in essential fatty acids like Omega 3’s that help to reduce inflammation in the body as well as promote ovulation and production of cervical fluid. Oysters, clams, and mussels are a fantastic source of zinc, an important nutrient for fertility! In men, zinc improves sperm quality and count. 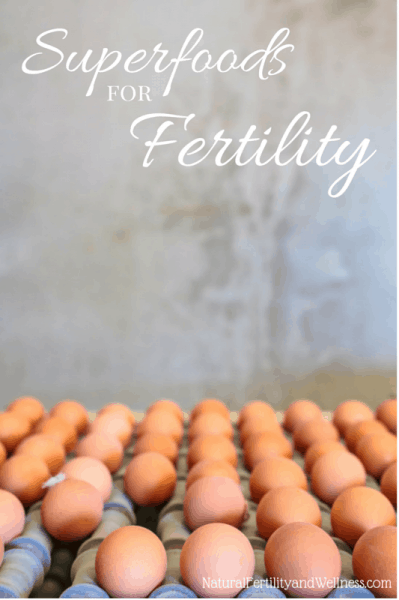 Proper zinc levels assist in egg quality for women. Without proper amounts of fat in our diets, we can’t produce hormones! The saturated fats help our bodies produce cholesterol and we use that cholesterol to produce reproductive hormones like estrogen, progesterone, and testosterone. Without enough good fats in our diet, we simply can’t produce enough hormones to get pregnant. Butter, in particular, is a great source of fat soluble vitamins and is great to include in any diet, especially one for fertility. However, it is important to source butter from cows raised organically and grass-fed, you’ll notice it’s deep yellow coloring and rich flavor. Other good fats that can be heated are coconut oil, and lard/tallow from pasture-raised animals. Extra virgin olive oil and avocado oil are great to use when they are not cooked. You aren’t just what you eat, you are what you digest. This means that your digestive system is an important focus, most of us have issues in our modern world due to the prevalent use of antibiotics in both ourselves and in the animal foods that we eat. Our overly processed foods also damage the intestinal lining and cause inflammation. This means that we aren’t absorbing the nutrient from our foods that we should…and lack of nutrients can signal the body that we aren’t in a place to reproduce. Fermented foods not only break down foods causing them to be easier to digest, but they also supply us with plenty of probiotics and enzymes that support gut health. Naturally fermented foods like raw sauerkraut, traditionally fermented pickles, kombucha, and kefir are easy to make at home and inexpensive to boot. Many stores now carry many traditionally fermented options as well. The better you digest your food, the better you can absorb it! If you deal with heartburn, chronic indigestion, or some type of irritable bowel, you may want to consult with a holistic practitioner so that you can get the full benefit from the foods you eat. Packed with folate and other B Vitamins, avocados are a great addition to any diet, but especially when you want to get pregnant! They contain plenty of “good” fats that assist in hormone production and they may assist in reducing inflammation in the body (often a concern with PCOS and endometriosis). One 2012 study even found that eating avocados increased the chances of a successful IVF. They are also high in fiber which helps regulate blood sugar levels and aids in the removal of toxins and hormones via the bowel and contains plenty of other beneficial nutrients like Vitamin B6, potassium, and enzymes. One of the most talked about and recommended fertility superfoods, maca is basically a root vegetable. It grows in the Peruvian Andes Mountains in an intense environment in poor soil with extreme temperatures and weather conditions. There is this idea that this hardy, resilient plant can be used to transfer those same properties into a person when they consume it. It does have a decent nutrient profile, but it is not all that different from other vegetables or root vegetables you can consume. There are claims that there is this phytoestrogenic property to Maca that can help to enhance estrogen when it is low. Then there are other constituents of Maca that are thought to reduce estrogens when they are in excess. Maca is an adaptogenic herb, and this means that it regulates how the communication happens from the hypothalamus to the pituitary gland and thereby regulates the pituitary glands messaging to the other endocrine organs. So it balances out what kinds of hormones the body is producing and when. Some of the primary studies that have been done on the benefits of Maca are really demonstrated to be effective for male fertility, enhancing sperm motility, enhancing male libido, strength, and endurance as it helps to raise androgrens in the body. However, it may be particularly problematic in women who are struggling with infertility as a result of something like PCOS, which has an androgen-dominant component. Before using maca to help with fertility or hormone issues, make sure to read exactly WHO should take maca as it may make hormonal issues worse if you don’t need it. Produced by the worker bees, this substance is fed to the queen while she is still a larva. This is what causes her to be able to reproduce. It is thought that royal jelly enhances libido, helps balance hormones, and increases the quality of the egg, It is a good source of B vitamins, protein, small amounts of amino acids and fatty acids, as well trace minerals, some enzymes, and trace amounts of vitamin C.
While I think that royal jelly does have its benefits, do be aware that it takes bees a lot of work to produce and each hive has only a small amount for the queen, so it’s not the most sustainable supplement. Pumpkin seeds are high in zinc and do great things for sperm and egg health. In order to get the most nutrients from nuts, it’s important to eat them raw as many of the nutrients are damaged during roasting. The best way to eat them is to soak them in salt water for 12 hours and then dehydrate. It takes time, but you’ll find that they taste better than raw nuts and yet still contain all of their beneficial nutrients. I just wanted to tell you how much your blog has been a blessing to me. I was recently diagnosed with PCOS after 3 early misscarriages. And your blog has been a huge resource for me. Thank you so much! I’m in your same boat, Elizabethsue. I was diagnosed with PCOS as well after 2 early miscarriages. I’m so sorry for your loss. @Elizabethsue, Thanks for the compliment Elizabeth. I’m so very sorry for your losses. @Heather, I’m trying to find different ways to sneak it in! It still makes me a bit queasy though. I don’t mind ground up liver in with a meatloaf though! Hmmm… last time I had intestines with my meal? It was the last time I had menudo… ach I want some now! These cravings are killers! I have a question regarding cod liver oil. I understand that it is a super food to help prepare the body for conception (among other things.) I was curious if it’s okay to take WHILE you are pregnant. There seems to be a lot of varying ideas out there, and I am new to a lot of this and would love your opinions. Thanks! @Robin, I think CLO is GREAT during pregnancy! Not only does it help supply baby with Omega 3’s, it has wonderful levels of Vitamins A & D as well. I’d recommend it and I can’t think of any sources I’ve heard of that would say not to take it. Thanks for the response! I appreciate it! Dr. Ron’s Ultra-Pure sells a product called Organ Delight. It’s grass-fed New Zealand Organs and Glands (Heart, Liver, Kidney, Thymus and Brain) in capsule form. Really appreciate your blog. I’ve been doing GAPS diet for 3 months, trying to heal hashimotos and premature ovarian failure. Have you heard of any healing for these? Have subscribed to Weston Price journal, am fascinated and inspired. I like to fix beef liver by seasoning it with lots of garlic, salt, pepper and sauted (with pipping hot pan) in a little bit of olive oil; after they are fully cooked and browned, I add a whole onion cut into rings to golden (in the same pan) and place them on top of the dish… delicious! Chicken gizzards (not sure how to spell…) and hearts I fix again with lots of garlic (please clean up the gizzards before! The grocery store do not do a very good job!) salt, pepper, a little pepper caled malagueta, sauted and after add water to cover it all up. Cook for about an hour and half until very tender (you may have to add some more water along the way). You may just let all the water dry and add onion or just leave a little juicy. Anyway is very delicious. My mother used to fix all this things a lot, and I have a little girl, first try! Can people who have fibroids take CLO?…i read somewhere that it is not good for people with fibroids due to the increased oestrogen production. What is your view on it? @gita, I haven’t come across any info that mentions that CLO would increase oestrogen production. Things like EPO or Flax oil might as they contain phyto-estrogens, but I haven’t heard of a natural fish oil doing that. Just wanted to let you know I used the link for that x factor article by Christ Masterjohn and it didn’t work for me. I’m familiar with the Westin A. Price stuff (LOVE IT!) but have never read this article. I just searched x factor within their site and the link I got was http://www.westonaprice.org/fat-soluble-activators/x-factor-is-vitamin-k2 not sure why yours didn’t work for me. Many blessings to you and your husband as you embark on this “whole foods” journey! Thank you for sharing. I had three early miscarriages, two children, then we lost twins at 30 weeks. I have been diagnosed with PCOS and will, at times, go up to 2 years without ovulating. Recently I was diagnosed with Celiac disease (this came three years after my daughters diagnosis) and we have been eating more whole foods anyway as I am quite crunchy in most ways lol but some of this is still new to me and the connections between diseases is very eye opening. We have been TTC for many years and are now hopeful for the first time in a long time. Thank you! I am interested in infertility of the male. ( Low sperm counts) Any specific info. for increasing motility and numbers? I was diagnosed with PCOS few years back. Had regular periods until the age of 35 and then the cycles started to get longer and longer. Now I don’t get periods for months. I just came your site and see some hope. My concern is I am vegetarian. I would appreciate if anyone can suggest diet for me. Really Looking forward to get some feedback. Well, I’m not pro-vegetarian (though I’m also not anti-vegetarian either!). 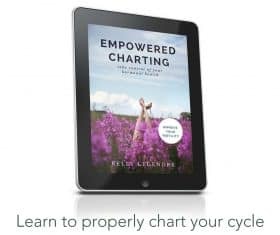 Mostly because I see women heal their body of PCOS by following a diet that more closely mirrors the “primal or paleo” diet and I see more problems with women who follow a vegetarian diet, especially those who have for multiple years. – It’s going to be really important for a vegetarian to prepare foods correctly, this means soaking grains and legumes prior to consuming and eating traditionally fermented foods. – It’s also extremely important to make sure that one doesn’t begin to substitute other foods for meat and stay away from “pretend” meat products. If a vegetarian eats soy, miso, tempeh, and natto are preferred over any unfermented soy which should be very minimal or not eaten at all. -Eating a very wide variety of foods is also important as well as eating a variety of beans, legumes, and grains and not just sticking with one type. – Consuming animal products in the form of dairy and eggs can be extremely beneficial (I’m ok with vegetarianism, I would never do vegan) and they should be sourced well: from pastured, happy, and grassfed animals. Organic if at all possible, fresh (unpasteurized) milk if you can find a quality source. I also think it’s important to really pay attention to our bodies and decide how to eat based on what they’re telling us we need, and not based on our beliefs and theologies. I for one have changed my diet a few times over the years as I work to give my body what it needs. Testing for deficiencies is also important, B12 and D are great ones to look at. I also try and follow my body’s lead on what I might be craving, whether it’s raw produce or rich, heavier animal products. So most of all, follow your body’s lead! Donielle Thank you for your response! I have read that Soy and Dairy are not recommended for PCOS since it effects the fertility. Is that ture? What do you suggest? I’m definitely not a fan of soy and choose to avoid it for myself. As for dairy, I choose to consume fresh, unpasteurized dairy which contains enzymes that help deal with the milk sugars, making it much less of an issue for those with PCOS. But, as with any food, some people do have a dairy intolerance and I find it helpful to cut it out for a few weeks and then reintroduce it for a day to see if any symptoms diminish and then reappear.